A NEW scheme has been hatched by the powers that be to control information and speech. If they have their way, content management powers for the Internet — exercised by Pemra in the case of electronic media licensees — will be given to the Pakistan Telecommunications Authority (PTA). What’s the name of this devious masterstroke? Section 34 of the Prevention of Electronic Crimes Bill (PECB) 2015. Any information. Through any information system. Information is defined as: “text, message, data, voice, sound, database, video, signals, software, computer programmes”. Information system as “an electronic system for creating, generating, sending, receiving, storing, reproducing, displaying, recording or processing any information”. Mind you, this isn’t just limited to what’s on the Internet anymore. It’s about what flows through your electronic devices — a mobile phone, computer, laptop, iPad. Don’t count out cameras and iPods either — they too are devices, Wi-Fi enabled these days. What you are transmitting through SMS and WhatsApp, or perhaps what sits on your phone as a note or picture in your gallery, and of course what you are emailing or posting on Facebook, Instagram, Twitter etc, could soon be subject to judgement calls by the PTA. The long arm of the law will pry into it all to decide whether the transmission and availa­bility of any content should be permitted or not, should Section 34 see the light of day. PECB seeks to impose state hegemony over information. This year, and the last few months in particular, have been devastating for media freedom. Whether in the form of directives issued by Pemra — take the one pertaining to the coverage of the Mina tragedy for instance — or news that has been doing the rounds unofficially, of columns being censored or not printed at all by newspapers due to the ‘instructions’ they are regularly receiving; or the audio suddenly dropping due to ‘technical issues’ during live or recorded broadcasts of political talk shows. The only avenue then available to those whose voice is now being systematically muzzled, is online media. Whether through personal blogs or websites, or through the use of Facebook, Twitter and WhatsApp, and media shared through it, these concerns are being raised. That content is being shared. 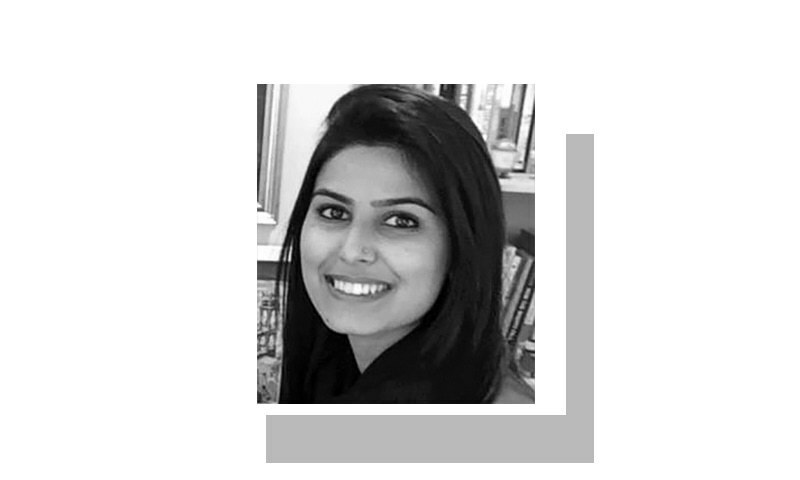 But with Section 34 and PECB soon to come up for a vote in the National Assembly — possibly during the ongoing session — that alternate media now stands threatened. Section 34 reeks of the intent to maintain and preserve the state’s hegemony over information and speech — information and speech that exposes wrongdoing; that calls for accountability and transparency into the workings of the state and state institutions. In an environment where there is zero tolerance for anything that is a departure from the official narrative, how else is Section 34 going to be used if not to stifle already dying freedoms and the space to voice a dissenting view? Raise questions about the ongoing military operations, and you’re running down the army as an institution. Talk about judicial over­reach and it becomes a matter of the judi­ciary’s reputa­tion. Take a politician or political party to task and it becomes an attack on demo­cracy itself. Critique of indivi­duals has be­come synonymous with critique of an institution. And cons­tructive criticism poi­n­ting towards much-needed reforms within our institutions is now equivalent to defamation. What will be unleashed upon us through Section 34 is a regime that will decide on whim, based on what affects personal reputations and fits personal barometers of morality, what we should or should not say, and what we should or should not have access to. Either entire websites will be shut down over one piece of content without ever knowing when access to them will be restored: Facebook, Twitter, WordPress, Instagram have all been blocked at some point or the other in Pakistan. Or, in the zest to try and gain the ability to block, nefarious designs to break through encrypted protocols will be pursued. Accepting or rejecting Section 34 in the proposed PECB really boils down to a question of whether you want to empower the state further and allow its hegemony to prevail over information and speech. Would you rather preserve the status quo and allow it to dig its tentacles even deeper through ‘law,’ or will you reject it? The apprehension expressed are valid .Section 34 looks to be " Big Brother ". Are we on our way to the " Brave New World " of Aldous Huxley ? Media reform are needed, Pakistani media anchor have to learn decent style of questioning / answer, as we noticed that some media actor try to proved as non state actor, violent question received often violent reaction. Media should play a reformative model role, must abstain from indulging in yellow activities, or creating violence in society. Manners to be address in section 34 also to not curtail the freedom of expressions. As long as the government targets terrorism, spreading religious hatred and anti-state activities, I will support the authorities. The rest is debatable and people can have a healthy difference of opinion, of course remaining within boundaries of decency. The government should not be allowed to become the moral police ! Have we ever done anything rational in our history?